Following sexual assault allegations, a senate hearing and an FBI investigation, Brett Kavanaugh was confirmed as a Supreme Court Justice. 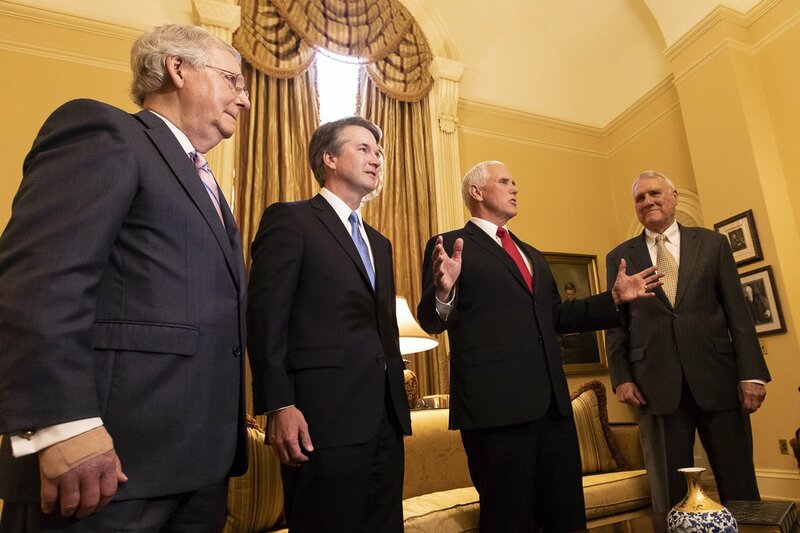 Last Saturday, United States senators voted 50-48 to confirm Brett Kavanaugh as a Supreme Court justice, thereby creating a conservative majority within the court. Following Kavanaugh’s nomination, Dr. Christine Blasey Ford publicly voiced that Kavanaugh sexually assaulted her in the 1980s. Coupled with the attention of the #MeToo movement, Kavanaugh’s nomination has proven highly controversial, and the confirmation process at Capitol Hill experienced several disruptions from protesting groups. Ford’s allegation was shortly followed by another claim of sexual assault against Kavanaugh by Deborah Ramirez, a former peer of Kavanaugh’s at Yale University. Ford and Kavanaugh have since testified before the Senate Judiciary Committee. Ford restated her original allegation against Kavanaugh, while Kavanaugh denied Ford’s claim. Nonetheless, Ford’s allegation caused the GOP to delay the confirmation vote by a week, providing additional time for further FBI background checks into Kavanaugh. The FBI has stated that it has found no corroborating witnesses to Ford’s claims, though some Democrats have raised issue with the small time allotted and lack of apparent effort put into the case; “In purposefully limiting the FBI investigation, it is clear the Republicans were not seeking the truth,” said minority leader Nancy Pelosi. The FBI’s statement paved the way for two then-unconfirmed Republican votes, Arizona’s Jeff Flake and Maine’s Susan Collins, to put their support behind Kavanaugh. They revealed on the Friday preceding the vote that they would confirm Kavanaugh due to the lack of corroborating witnesses. Kavanaugh’s politics appear partisan thus far, and he’s likely to act as a consistent conservative vote within the Supreme Court. His stances have been historically anti-abortion, anti-net neutrality, anti-regulatory in relation to firearms and environmental issues and generally pro-business. Both Democrat and Republican politicians have suggested that Kavanaugh being sworn in will only serve to fire up their party’s voters for November’s midterm elections.